Sometimes I panic under the pressure and make a guess which is probably why I can see better with some of the cheapies than with my prescription pair. I began wearing glasses in Grade 1 when someone realized I couldn’t see what was going on in school. On top of that, I kept walking into walls which was a pretty good hint there was a vision problem! 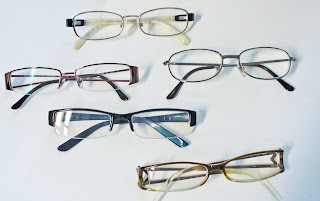 I wouldn’t wear glasses in high school because it wasn’t cool and the frames were ugly – I thought squinting was more attractive. ﻿﻿﻿I always keep a cheap pair of glasses in my bag in case I forget my good ones and I also keep an assortment at home (basically one in every room for quick reads). I wouldn’t need so many if they would make the buttons on the remote controls larger and increase the font size on medication directions. (Even with 20/20 vision, some are impossible to read). The best part of $2.00 glasses is you can have one in every shape and color, with or without bling, for next to nothing. If you break or lose them, who cares? I deliberately break the arm off a pair for reading in bed at night. I can lie on my side without anything digging into my face. Voila – custom made at no extra charge! I wish we still had Woolworth's. I think it would have been more fun to select your eyewear then sit at the counter for a soda or banana split to celebrate. Warning: This post does not replace the advice of your doctor. 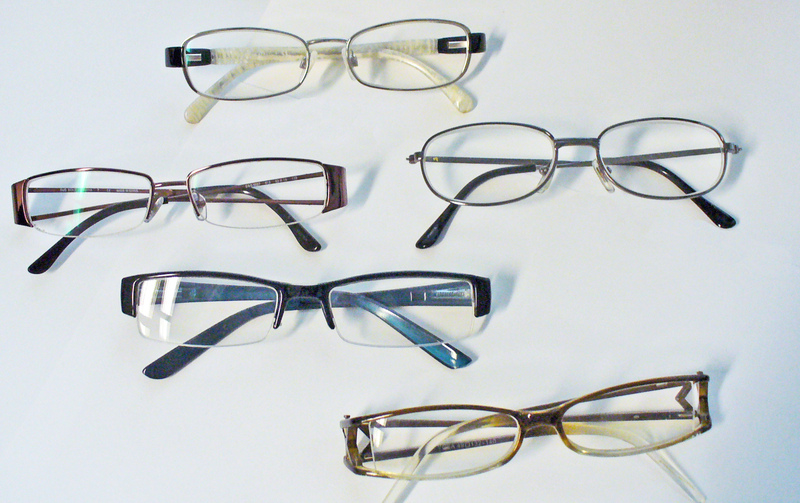 Talk to your optician and see if dollar store glasses are right for you. Among the side effects are not seeing correctly out of one eye and allergic reactions to cheap plastic.